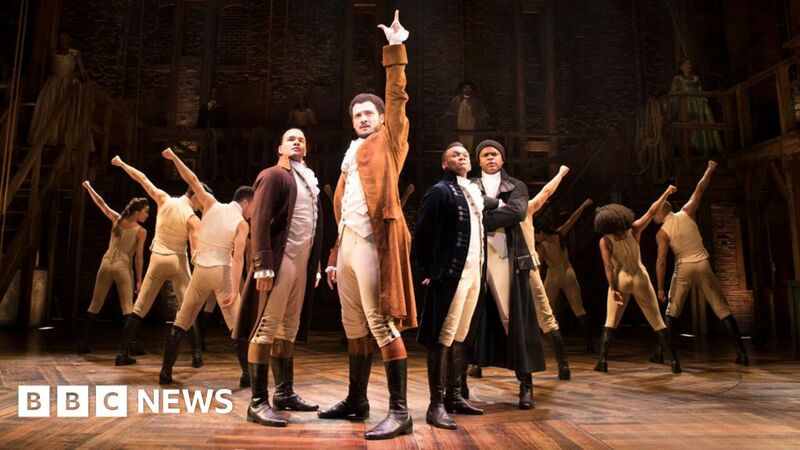 Hit hip-hop musical Hamilton has made Olivier awards history by receiving a record 13 nominations. The West End show received two more nominations than the 11 Hairspray and Harry Potter and the Cursed Child received in 2008 and 2017 respectively. Two of its nominations are in the best actor in a musical category, where Giles Terera and Jamael Westman are both recognised. The Ferryman gets eight nominations, including one for best new play. Catherine Tate will host this year’s awards, to be held at the Royal Albert Hall in London on 8 April. Hamilton uses rap and hip-hop to tell the story of American Founding Father Alexander Hamilton, played by Jamael Westman in London. Terera plays Hamilton’s nemesis Aaron Burr in the show, which opened in London last year after enjoying huge success in New York. Three of the show’s Olivier nominations come in the same category – best supporting actor in a musical – meaning that the most awards it can actually win is 10. Hamilton’s creator, Lin-Manuel Miranda, has expressed delight in a tweet paying tribute to his musical’s London team. The National Theatre’s production of Stephen Sondheim’s Follies has also performed strongly, having landed 10 nominations. These include two nods in the best actress in a musical category, where Imelda Staunton and Janie Dee go head to head. Four-time Olivier winner Staunton gets another nomination in the best actress category for her role in Who’s Afraid Of Virginia Woolf?. Her competition includes Lesley Manville, whose nomination for Long Day’s Journey Into Night follows her recent Oscar nomination for Phantom Thread. Other big names in contention include Bryan Cranston and Andrew Garfield, up for best actor for Network and Angels in America respectively. The other nominations go to Paddy Considine for Jez Butterworth’s The Ferryman and Sherlock’s Andrew Scott for playing Hamlet at the Almeida. Other shows with multiple mentions include the Bob Dylan-inspired Girl from the North Country and the exuberant Everybody’s Talking About Jamie, which have five nominations a-piece. Both are up for the best new musical award, as are Hamilton, An American in Paris and Mel Brooks’s Young Frankenstein. Named after Laurence Olivier, the Oliviers were established in 1976 by the Society of London Theatre and are billed as Britain’s most prestigious stage honours. A full list of nominations can be found on the Olivier Awards website.